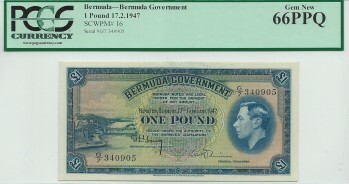 The second of two consecutive Bermuda 1947 one pound notes. 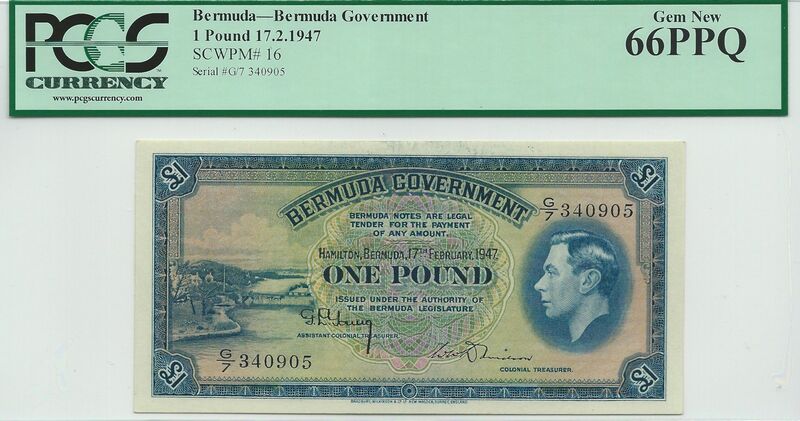 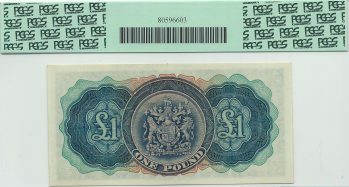 In 1970 there was a rush to redeem Bermuda pounds and shillings before the Bermuda dollar was introduced. 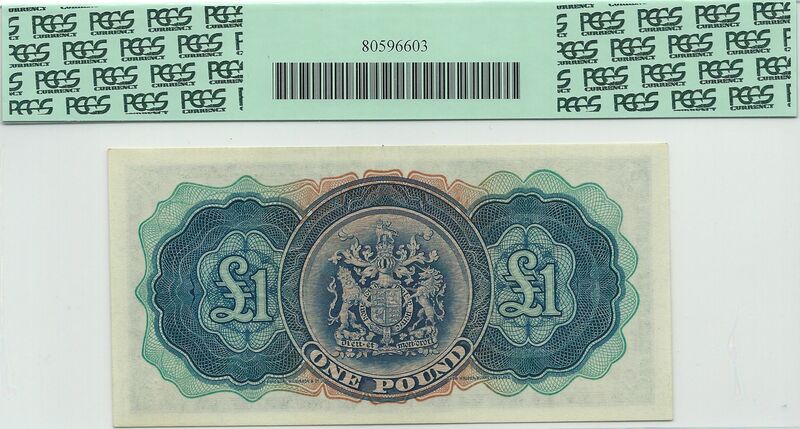 The general public was afraid the old notes would be devalued, thus making this and other issues quite scarce.